BConvert is a small freeware package of Delphi components for number conversion to text (words) or Roman notation. Contains some basic support for different languages. TNumberToText - This component converts a floating-point number to words. For example -312.74 will be converted to "minus three hundred twelve point seven four". TNumberToRoman - Set Number property to desired value, and then read RomanNumber property to obtain Roman format of this number. For example 654 will be converted to DCLI. This component convert Delphi grid, edit, listbox, memo, and label to Rich Text Format which you can open by using MS Word or Wordpad. Convert is a Delphi component that converts numbers into strings and strings into numbers with several base representations. Converts binary, octal, decimal, hexadecimal and much more. Batch HTML converter that convert doc to HTML, RTF to HTML and text to HTML. It can be called from VB, VC, Delphi applications. Num2Text convert numerical values into words in 4 languages. For example, the numerical value 7431285.46 would be translated into Seven millions, four hundreds and thirty one thousands, two hundreds and eighty five dollars. DelphiPdf is a Delphi component for creating simple Pdf-files. DIConverters is Delphi version of the popular libiconv character conversion library. All conversion are fully native and require no DLL or system dependencies. Applications build with DIConverters therefore run on all Win32 platforms starting from (and including) Windows 95. By Oswaldo Ricardo da Rocha Jr. Component that converts strings ASCII for EBCDIC and EBCDIC for ASCII. Gnostice eDocEngine is a comprehensive, generic, electronic document creation component suite. eDocEngine currently supports the creation of documents in PDF, RTF, HTML, XHTML, EXCEL, TEXT, CSV, Quattro Pro, LOTUS 1-2-3, DIF, SYLK, TIFF, PNG, SVG (XML based vector graphics), JPEG, GIF, BMP, EMF and WMF formats. Why use Gnostice eDocEngine as your electronic document creation component? Export from any Delphi - C++ Builder reporting tool to popular formats for distribution. Supported reporting tools include, QuickReport, ReportBuilder, Rave , FastReport, AceReporter and more. Single, rich programming interface enables you to create attractive electronic documents using the same set of instructions in over 18 popular formats: PDF, Word RTF, HTML, XHTML, Excel, Text, TIFF, SVG, JPG and more. This not only simplifies programming but also reduces the learning curve and cost of development. Generic engines give full control to create any kind of document and add custom content to meet any kind of application need. Advanced features for PDF output include, compression, encryption, TrueType fonts, font embedding, font sub-setting, international characters (European, Chinese, Japanese...), bookmarks, notes annotations and more. Vector graphics and Metafile rendering ensures sharp scalable graphics in the generated PDF, RTF or other supported formats. Also ensures files are extremely compact and easy to distribute. Convert RichText to PDF, HTML and other formats making the documents more portable. RichText is rendered as rich, formatted text (not image) in all document formats ensuring crisp documents that can be text searched and enlarged without loss of quality. Advanced drawing functions include support for drawing tables, paragraphs and textboxes with a single method call. Paragraph control enables automatic alignment of multi-line text items. Left, Right, Center or Justify alignment can be achieved just by a single property setting. Built-in Header and Footer control further simplifies document creation, as the task of rendering repeating items can be delegated to the component itself. Extensible, well planned architecture enables speedy and clean implementation of new features and formats. Allows end-user configuration of document output through run-time dialogs. Speed. All engines of eDocEngine are highly optimized for high-speed rendering of commands and metafiles. Ideal for dynamic Internet and Intranet application development. Reduce costs for information delivery by delivering information electronically. Increase process efficiency and shorten turn-around time in applications that require users to perform actions on documents using the built-in support for Action, Navigation and form submission features. Format information in exactly the way users require it. Greatly reduce developer workload and time-to-market using a common programming interface and code base for creating all document formats. Better leverage existing investments with the help of the flexible Report Export architecture. By Joseph Liu Tze Kay. Fig2Word consists of two components used to convert figures to words. These components are useful in printing cheque, invoice, etc. Create PDF files from Delphi using Apache FOP. We have created a Windows installer that will install all you need to run the free server in your computer. You can call the server from Delphi using a HTTP Post, we include a class to do that, so you only need a few lines of code. The server will convert you data (which has to be XML format) to a PDF file. The layout of the PDF must be defined in a template file (XSL-FO). Additional functions not included in the free version are: designer tool to create layouts, PDF digital signature and PDF interactive forms. Nishita's PDF Create VCL (TNPDF) is a Delphi Native VCL to create Adobe Acrobat PDF Files which works like Delphi's TPrinter. The file compression by ZLIB is added for this update. novaPDF SDK is a PDF software development kit that programmers can use to add the ability to create PDF files in their own applications. As a COM Object, novaPDF SDK can be integrated in any Windows 2000/XP/2003 Server/2008 Server/Vista (32-bit and 64-bit)/Windows 7 application programmed in a language that supports COM Objects (C/C++/C#, Visual C, Delphi, Visual Basic ...). novaPDF SDK is a pre-processing PDF development tool. a COM interface for customizing novaPDF printer options. novaPDF for SDK printer to distribute (royalty free licensing - can be configured to not show in the list of Printers and to create PDF files a temporary printer would be added). A non visual component that translate integer numbers to Plain Text. Available in Spanish and German. This unit contains functions that returns the String or PChar equivalent of a Russian money numerals with currency names. Converts numbers or money in words using English and Turkish. Express numbers or money in words using English, Deutch, Francais, Espanol, Italiano, or Turkish. Automatic or manual selection of language and local currency. OFC Reader. Easy to use. Opensource. OFC - Open Financial Connectivity. Its a royalty-free data import format used to transfer bank information to finantial softwares. This component read a .ofc file into a type class easy to use. By VISION Software (M) Sdn. Bhd.. Native PDF Creation for Delphi. Component, which allows you produce files in Adobe PDF format. PDF In-The-Box for Delphi is a VCL component that lets you create PDF files programmatically. It writes native PDF format with no intermediate file. No third-party software needed. You don�t have to know anything about the PDF format structure. Source code in Delphi language is available in option. ActiveX and DLL APIs also available. Your applications based on PDF In-The-Box can be freely deployed. No run-time licence needed. A comprehensive programming interface (about 110 methods, properties and events) allows you to build up sophisticated PDF documents. Multi-line text with smart hyphenation, horizontal and vertical alignment. Insertion of rich texts loaded from RTF files. Supported field types: pushbutton, edit box, memo box, list box, combo box, check box, radio buttons. Powerful grid management system with cell drawing and filling methods. Customization of aspect and dimensions for every column. 15 methods available to draw geometrical shapes (lines, rectangles, circles, pies, polygons, Bezier curves, etc). Images retrieved from memory or loaded from disk (.BMP, .JPG, .WMF, .EMF, .ICO formats). Smart image stretching (preserving aspect ratio). Image compression with Zlib or Jpeg algorithms. Bookmarks (table of contents displayed as an outline tree in PDF viewers). Hyperlinks: internal, remote, external or Internet links. Orientation may be changed inside a document. Document properties: author, keywords, producer, subject, title. 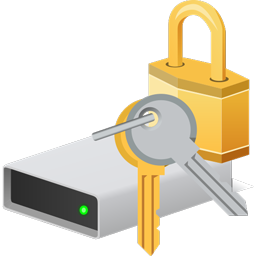 Encryption and protection: owner password, user password, security options. PDF2TXT(pdf to text) software can extract text from PDF files, it does NOT need Adobe Acrobat software. PDF2TXT(pdf to text) processes at very high speed and you can convert multiple PDF files to text files at one time. Batch convert RTF to TXT/HTML files. This ActiveX utilize FreePDFConvert.com service to provide seamless file conversion to PDF files directly from within your company's system. Bypass the usual Web interface and implement direct coded access to our server. In this way, anyone within your Company�s system can obtain PDF file conversions which have been streamlined for your special purposes. Convert between PDU format and ASCII text for sending / receiving SMS. Optimized for string operation. PowerPDF is a VCL to visually create PDF document. Like QuickReport, you can design PDF document easily in Delphi IDE. Component converts RTF and TXT files into plain HTML4.01, HTML with stylesheets or XHTML. The RTF-to-HTML DLL is component for developers, it's absolutely standalone and does not require Word or any other word-processors. Developers can call it from Visual Basic, ASP, ASP.Net, C#, VB.Net, Delphi, Java etc. RTF to HTML converter, supports fonts (color, size, face), text attribs (bold, italics, underline), text alignment and bulletlists. RTFapi.dll is a freeware-dll for converting common Text formats (DOC, HTML, XLS ...) to Richttext (RTF) and the other way around, based on the installed Text converters. Using TStream you can save the converted text as file or put it directly into TRichedit or TRxRichEdit. TMSWordDocument allows to read any Word document directly without OLE automation of MS Word application. MS Word installed is not required at all. TWordPerfectFile allows to read any Word Perfect (Corel Office) document (without any external library too) with all formating (fonts/colors/alignments etc). TWRIFile allows to read any MS Write document and extract plain text and all formating. You may use this component to provide a search engine - for example, find document where some substring is occurred or to display summary information and text preview in own file manager. Complex documents (fast-saved, multi-piece files) are supported. Localized MS Word versions are supported too - German, French, Dutch, Spanish, Portuguese, Italic, Danish, Swedish, Cyrillic (Russian, Ukrainian etc), Hebrew and others. Convert String to Hex and Hex to String with an easy way. This is number of functions that help you convert Real numbers to it's ASCII text. For example 120.50 convert to 'One hundred twenty USD 50 cent.'. Numbers coverts to Russian or English language. Tafqeet is a number into lingual text conversion. TArabicLingualAmount is a component for tafqeet in Arabic. support for "ma7al minal i3rab"
American and Eropean numbers names over million support. Convert Integer - Binary with an easy way. It's a small DLL for these functionalities. With this unit you can converting texts into PDU format easily, and vica versa. 2 functions were provided: TextToSMS and SMSToText. Imports data from a non-delimited text file into a Delphi table component. It reads format from table component and grabs data from the text file based on the field widths in the table. The component does not do any translation on the data in the text file based on the data type of the fields in the table. This is a simple unit (includes a demo project) that can be used to convert a number to a base 24 or 26 letter string. Option for leaving out I and O. Useful for turning database autoinc fields into Alpha "Code values". Ie. 0 returns A, 1 - B , 233 - KT, 234 - KU, max 2147483647 returns MFSSQFH (all above using 24 letters). THEXConv allows converting strings into hexadecimal. You can use this component for example after a compression which creates many special characters, which are not compatible with a tranfer by e-mail or into a component as a TMemo. TLetNum is a component that writes in words the numbers passed as parameters. The result text is writed in Spanish. It can be uppercase. This component returns the string equivalent of a roman numeral for any value between 1 and 3999. The TTTFToVectorConverter converts TrueType fonts to straight lines (i.e. polylines). This package provides an easy way of converting most of the units of measurement found in use around the World today. Unit conversion factors are defined for: Mass, Distance, Time, Force, Temperature, Angle, RadioActivity, Energy, Area, Volume, Flow, MassFlow, Pressure, Velocity, Accelleration, Power, FuelConsumption, Torque. wPDF is new tool to create PDF files directly from your application. It can either use the WPTools TWPRichText control or its compatible 'Canvas' property which works with many other compontents like WPForm and QuickReport. Used alone, with your own component or linked with WPTools, wPDF instantly creates PDF files (2000 pages in 100 seconds). This component provides you with a compatible 'canvas' property which you can use for direct drawing. Metafiles are created internally and then sent to the PDF engine. wPDF also understands a great number of GDI commands and supports text, graphics, hyperlinks and bookmarks, outlines, thumbnails, compression, encryption, watermarks and much, much more. This package contains components to convert Float value of Currency to string, known as "summa propis'u". Works like 12.65-> "Dvendcat rubley - 65 kopeyek"